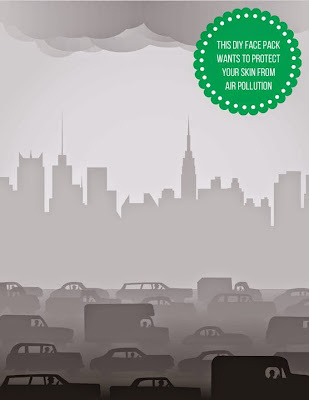 While focusing on sun protection, we usually forget another major skin culprit: Pollution. Think smog. Dirt. Dust. Car exhaust. Industrial emissions. Heavy metals. Household vapors. Cigarette smoke. And so much more that doesn't just damage the ozone layer but also wreaks havoc on our complexions, along with being practically impossible to avoid. In fact, science reveals that pollution is the second most harmful element for skin, after the sun. 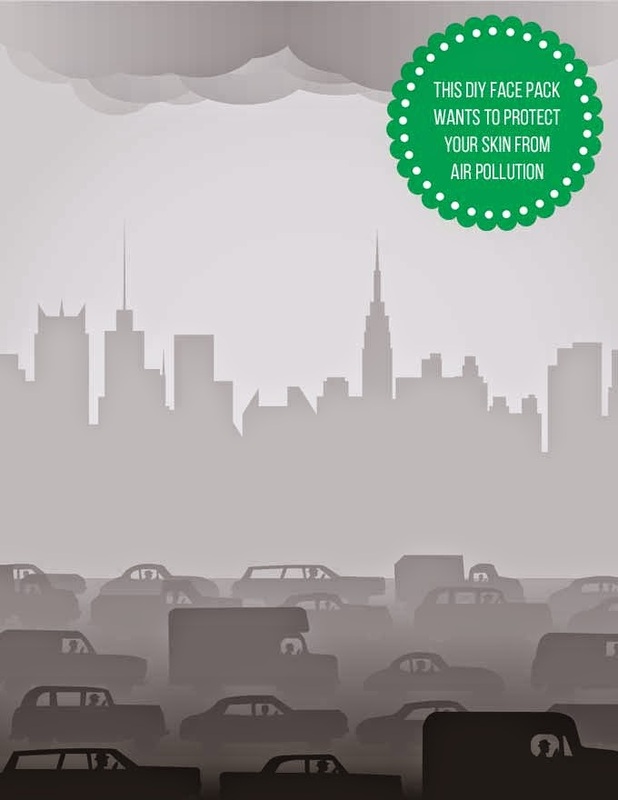 How exactly does pollution wreck our skin? 1. Pollutants play a double whammy by depleting our skin’s protective antioxidants and increasing the number of free radicals in the air. This makes skin at least thrice more vulnerable to damage, peppering it with premature fine lines and wrinkles, acne, rashes, eczema, discoloration and dullness. 2. Pollution also dehydrates the skin and depletes its natural oils. When this happens, our skin cells contract and lose shape, so they can no longer create a strong protective barrier. A weak barrier causes increased skin sensitivity, chronic inflammation and vulnerability to infections, allergies and acne. 3. Besides this, pollution decreases the production of collagen, causing skin to lose elasticity. This leads to sagging, a rough texture, fine lines and premature ageing. While washing your face at night is sacrosanct, simply fingers and soap may not get the job done. Most common pollutants are made up of particles that are 20 times smaller than a pore, so they lodge deep within the skin. Harsher soaps and exfoliators may do more harm than good by throwing off pH levels and compromising skin’s natural barrier. So, how do we deal with the damage? Short of living in a bubble, there isn't much you can do to prevent pollutants from invading your skin. However, with the proper routine, you can mitigate its effects and keep your skin glowing through the haze. How’s your daily battle with pollution? Good, bad or downright ugly?